What is the President’s Circle? The President’s Circle is an elite group of community members, businesses, non-profit groups, government leaders and others committed to empower students to achieve their educational goals, to expand their individual potential, and to successfully pursue their aspirations for a better future for themselves, their community and the world. What are the goals of the President’s Circle? 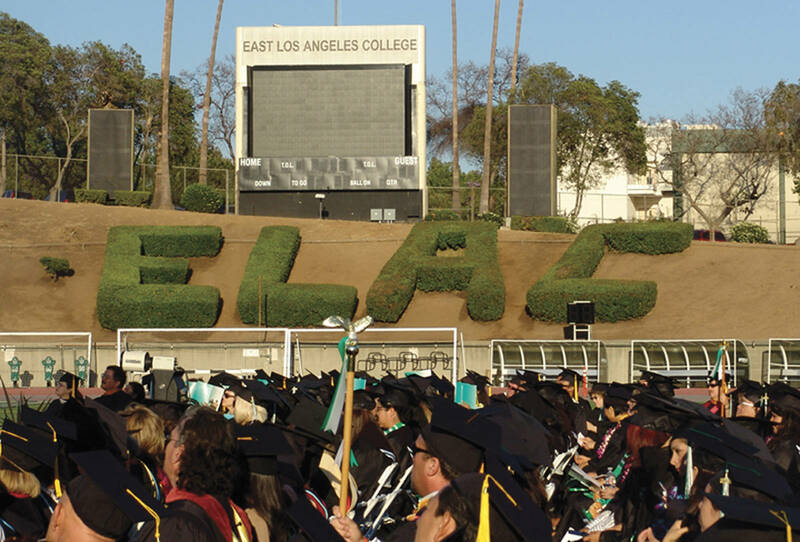 Help school districts eliminate the first year of community college tuition for hard working students who graduate from high school through ELAC’s Promise Program. Develop a robust and diverse network of community partners committed to increasing student success and academic excellence through student-centered instruction, student-centered support services, and dynamic technologies. Strengthen our community businesses by growing a network which will identify “new members” and “new ideas” designed to provide 21st-century workforce skills that will strengthen and sustain our economy. Raise funds for existing and future creative and innovative programs designed to prepare students to transfer, successfully complete workforce development programs, earn associate degrees, and pursue opportunities for lifelong learning and civic engagement. Help send ELAC students to Washington DC to intern for our Nation's leaders. A gift of $1,000 or more will place you in the elite group of the East Los Angeles College Foundation President’s Circle. As a member of this elite group you will empower students to achieve their educational goals, to expand their individual potential, and to successfully pursue their aspirations for a better future for themselves, their community and the world. Furthermore, you will be provided with engagement opportunities with other ELAC partners, foundation members, community leaders, elected official, ELAC senior leadership, and faculty. Seat at President’s Table at the Annual President’s Gala (two people).